A large, solitary feather palm with a green trunk and distinct grey rings. The stiff pinnae are glossy dark green above and greyish below. The congested leaf bases are deeply split opposite the petiole, are loosely overlapping, do not form a crownshaft, and, like the petioles, are densely covered with greyish to tan or even rusty brown, felt-like indumentum. The species is dioecious where there are separate staminate (male, pollen-bearing) and pistillate (female, seed-bearing) plants. Fruits are bright orange and spherical, about 1.5 cm (0.6 inch) in diameter; Seeds are ovoid 12 x 10 mm brown. IUCN Red book listed as vulnerable. The palm is closely related to the wax palms, Ceroxylon species from the high Andes of South America. Juania australis is extremely rare in cultivation, and is regarded as the palm collector's most wanted palm tree. That is certainly true for those palm collectors living in cooler climates. This palm will not grow in warmer climates, where night-time temperatures regularly exceed 15°C/60°F. The palm is endemic to the Juan Fernandez Islands, of Isla Robinson Crusoe, and Isla Alexander Selkirk, which are over 600 km off the the coast of Chile, in the Southern Pacific Ocean. This is the site of the Scottish castaway, Alexander Selkirk's four-year marooning, which gave rise to the Robinson Crusoe novel by Daniel Defoe in 1719. These islands, located 33°S, experience a cool, subtropical climate, influenced by the cold waters of the sub-Antarctic, Humboldt current, and by the south-east trade winds. The mean annual rainfall on these islands is 1,100 mm, which is a little more than we get in Cornwall, South-west UK. The mean annual temperature at sea level is 15.4°C. However, the palms occur on steep slopes and ravines in rainforest at 200-900 m (typically 400-900 m) elevation, where it can be considerably colder. This palm can tolerate -5°C with no leaf damage whatsoever. The Juan Fernandez islands are designated as a national park and biosphere reserve, where work is being carried out by CONAF to conserve the endemic plants. 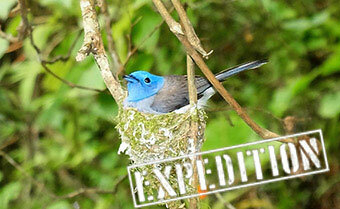 Seeds from Juania australis are banned from being exported from the islands by the Chilean government. Juania australis seeds supplied from Trebrown Nurseries are collected from cultivated trees on the Chilean mainland. 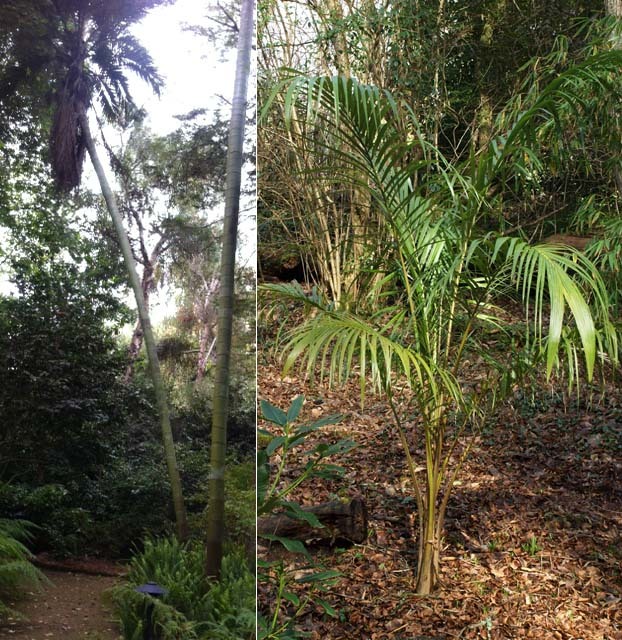 There are very few Juania australis palms in cultivation, the San Francisco Botanic Garden has one plant remaining, after several died. There are five plants in a group at the Lakeside Palmetum in Oakland, California. One large plant at Earlscliffe in Dublin, Ireland. There's a male plant in New Zealand that flowered for the first time in 2009. And in Cornwall, UK there are 2 large plants at Tremenheere Gardens, 2 at Glendurgan gardens, and we have a dozen young plants in the ground here at Trebrown Nurseries.